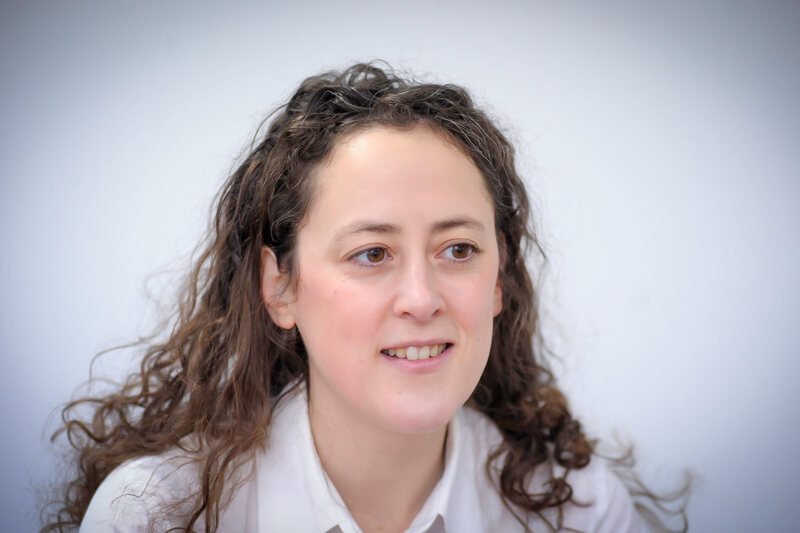 Sasha Rozansky is an associate solicitor at Deighton Pierce Glynn. She was recruited as a caseworker by Pierce Glynn in 2008 before completing her training contract with the firm and qualifying as a solicitor in 2012. Prior to joining Pierce Glynn, Sasha worked in the not-for-profit legal advice sector for five years, including at a law centre, the Citizens Advice Bureau and a major housing association. Sasha is a specialist in public law, EU law and human rights law. She conducts cases across a wide range of areas including healthcare, migrant support, housing, discrimination and equality duties, community care, Human Rights Act claims, matters involving the Regulation of Investigatory Powers Act 2000 and immigration detention. She is therefore experienced in bringing judicial review applications against central government, local authorities and other public bodies, as well as in county court litigation. Sasha’s broad public law practice covers challenging discriminatory policies and practices, failures to comply with EU and human rights law, failures to carry out equality impact assessments and consultations, failure to comply with the NHS Constitution and unreasonable delays in making decisions. The Legal 500 directory states: “Sasha Rozansky is ‘knowledgeable, thorough and personable’”. Using creative public law, EU and human rights arguments, Sasha has been able to secure life-saving hospital treatment for foreign nationals, accommodation for homeless families, social services support for migrants with physical disabilities or poor mental health, financial support for destitute asylum seekers and refused asylum seekers, support for care leavers and welfare benefits for EU nationals and their family members. Sasha has also been successful in getting public bodies to agree to carry out equality impact assessments where proposed cuts to services would greatly affect vulnerable groups. This has included getting Lambeth council to agree to reinstate the full benefits of the Taxicard scheme to their residents, and carry out a consultation and equality impact assessment the proposed changes would have on people with severe disabilities, as well as getting NHS Haringey to carry out an equality impact assessment in relation to the interpreting services it provides to patients at GP surgeries, following a number of clients reporting that they were being denied access to proper care from their GPs. Additionally, Sasha is experienced in housing law, particularly in challenging decisions refusing EU nationals housing assistance. She represents clients in homelessness, possession, disrepair and allocation challenges, using EU law, human rights law and anti-discrimination law. Sasha assists Sue Willman with unlawful detention judicial review cases and substantial damages-only claims for people who had previously been unlawfully detained, as well as with an application to the European Court of Human Rights. Sasha co-authors the EU/Migrant Support updates for Legal Action. She also provides training on EU law and public law through the Immigration Law Practitioners Association. She regularly receives referrals from the Red Cross Refugee Unit, the Refugee Council, the Asylum Support Appeal Project, Freedom From Torture (Medical Foundation), Detention Action, Kids Company, the Citizens Advice Bureau, law centres and the Helen Bamber Foundation. Sasha is a member of the Housing and Immigration Group and the Housing Law Practitioners Association (HLPA). She is on the HLPA Subcommittee on Legal Aid and the Asylum Support Appeal Project’s Strategic Litigation Subcommittee. R(MC) v SSHD , R(EJ) v SSHD , R(NG) v SSHD and R(YA) v SSHD  – a series of judicial review test cases challenging the Home Office’s systematic practice of refusing to give travel expenses to asylum seekers to enable them to maintain contact with their children. R(RS) v SSHD  – Judicial review under ECHR and EU Reception Directive of refusal to provide refused asylum seeker with cash support. Pryce v LB Southwark  – Test case at the Court of Appeal on the application of Article 20 on the Treaty on the Functioning of the European Union (TFEU) and the Court of Justice of the European Union’s decision in Zambrano. De Jesus v LB Redbridge  – Homeless appeal on whether Article 20 TFEU/Zambrano applies in the UK in respect of carers of children from other EU countries. R(Z) v Lambeth Council  – Judicial review of failure to carry out adequate consultation and equality impact assessments prior to making decision to reduce provision of Taxicard services to people with serious mobility problems. R(M) v NHS Haringey  – Judicial review of discriminatory practice by failing to provide adequate interpreting services. R(Q) v SSHHD  – Judicial review on what steps are reasonable for an refused Iranian asylum seeker to take to return to Iran. R(MM) v SSHD  – Immigration detention judicial review which considered EU rights, duties towards children under s55 of the Borders, Citizenship and Immigration Act 2009 and the effect of pending proceedings in the Grand Chamber of the European Court of Human Rights. R(Z) v South West London Health Authority  – Judicial review of refusal of life saving cancer treatment to an EU national. R(M) v Guys and St Thomas’ NHS Trust  – Judicial review using EU law of refusal to give life saving cancer treatment to the primary carer of a British child. R(AL and CL) v LB Hackney, LB Enfield and SSHD  – Judicial review against three defendants of the failure to act jointly to accommodate siblings who were children and care leavers. R(M) v Croydon  – Judicial review of refusal to provide leaving care services. R(OK) v SSHD  – Judicial review under ECHR and EU Reception Directive of refusal to provide refused asylum seeker with cash support. R(DB) v Essex CC  – Age assessment judicial review.